You can tell its getting closer to Valentine's Day with all the FREE Chocolate deals that we're seeing. Starting this week at CVS, you can score a FREE Single-Serve Nestle Candy Bar. There are NO COUPONS needed for this FREEBIE! 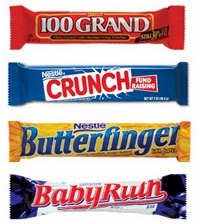 Starting January 12th, CVS will have Nestle Candy Bars for ONLY $.79. When you purchase one Single Serve candy bar, you'll receive an $.79 CVS Extra Care Bucks.